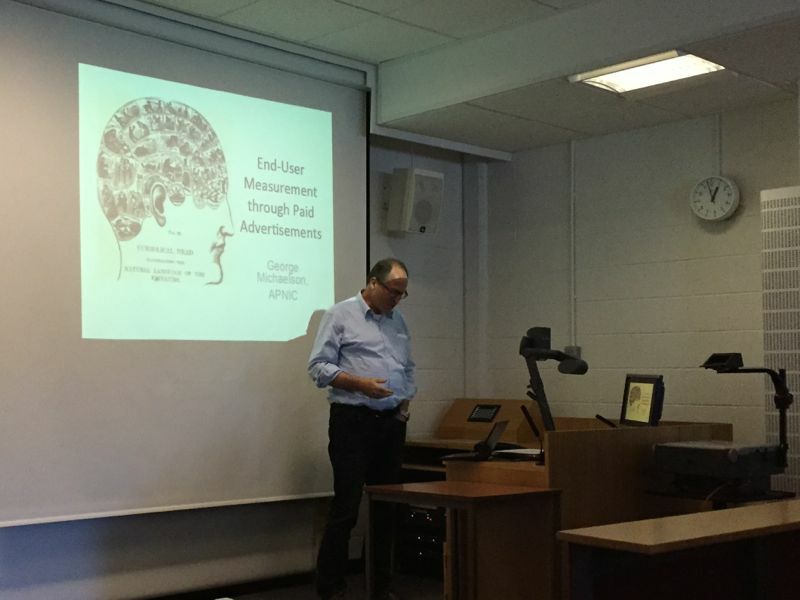 The 15th Scottish Networking Event was held at Heriot-Watt University on 2 June 2015, organised by Mike Just and Marwan Fayed. The meeting started with an invited talk by George Michaelson from APNIC, on end-user measurements of IPv6 and DNSSec deployment. This uses browser-based testing, the measurement code being written in Adobe Flash and served to a large and diverse user population by the means of advertisements served via Google. That is, when the advertisement is viewed, the advert image is fetched via IPv6 and the downloaded time is measured by the browser-code, that uses the next URL it fetches to encode details of the measurement and inform the server of the results (similarly for DNSSec). This is a clever method, that allows some very broad measurements. Following this, we had short updates on their research by Praveen Tammana, Cengis Hasan, and Simon Jouet. 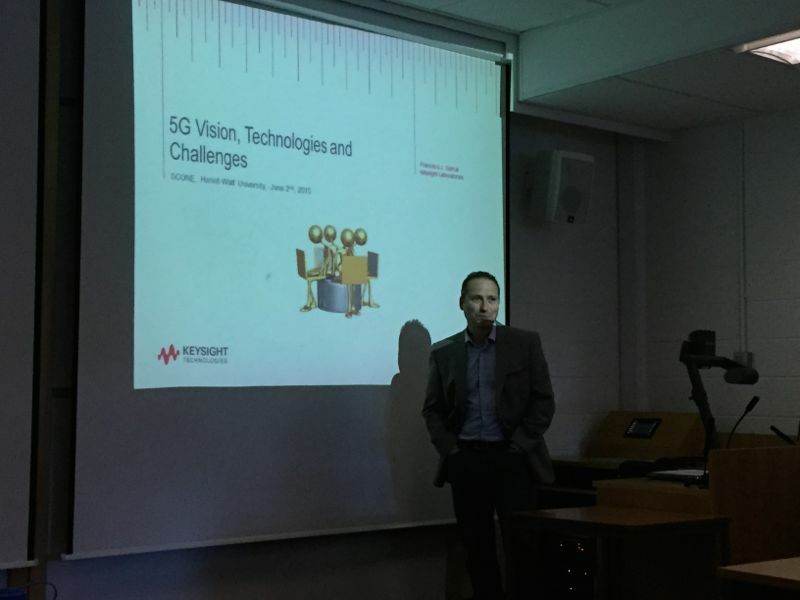 A second invited talk by Frankie Garcia (Keysight) on "5G Vision, Technologies and Challenges", outlined some ways in which 5G wireless technologies are evolving, and the possible shape the standards might take. Stephen McQuistin, Thu Yein Win, Hussein Bakri, and Richard Cziva gave brief talks on their PhD work, and finally Luke Hutton discussed ethics and user consent for measurement studies of social networks.